On May 21, 2014 Galloway Township received a letter from Tom Douglass, Pastor of Highland Community Church. In the letter Douglass requested the Township reconsider a previous policy which allowed area Religious Leaders to offer Invocation at the opening of a Council Meeting. Douglass has been an advocate in trying to restore a policy the Township adopted in 2010 and later rescinded in 2013. In the 2010 Prayer Policy that was sponsored by former Mayor Keith Hartman and adopted by Council, the policy allowed for a specific rotation of local clergy to give an invocation during each council meeting. That policy has since been rescinded and replaced with a policy that allows the Invocation to be said only by Members of Council. The 2010 former policy that allowed for the area Religious Leaders to pray at meetings was drafted and approved by former Solicitor Michael Blee. That policy as adopted by the 2010 Council, which consisted of Mayor Don Purdy and Councilman Jim Gorman, just might have been held up in Court according to the new Supreme Court decision. Deputy Mayor Tony Coppola stated he felt the Township needed to "mitigate legal exposure with the original policy." The new policy adopted in 2013 states, "the Municipal Clerk will offer to each member of Council on a rotating basis the opportunity to offer one of the invocations on the attached list at the beginning of the Council meeting at the time identified for the Invocation." The policy also allows any member of Council to request a moment of silence to allow for private prayer or meditation by those present. Council will offer the invocation on a rotating list. If no council member wishes to offer an invocation at the meeting, than a moment of silence shall be held in place of the invocation. 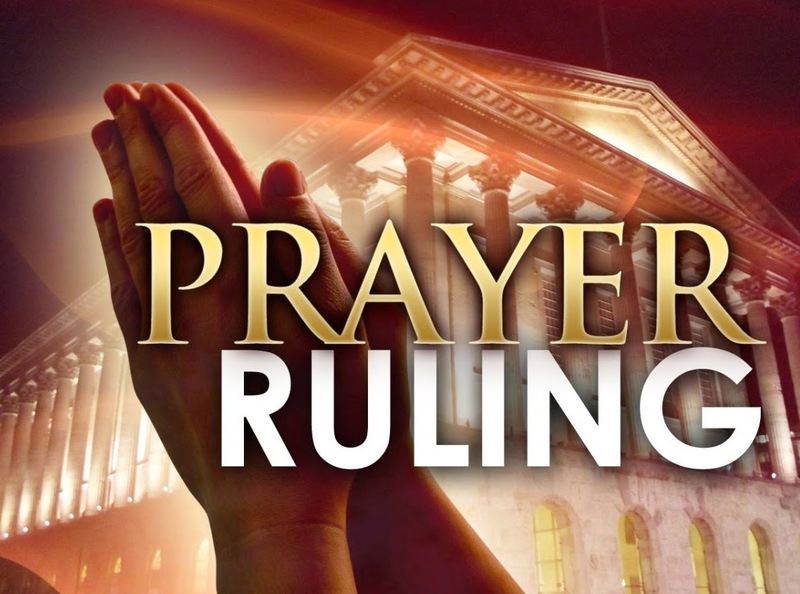 The Supreme Court has just reaffirmed that prayers that open Council Meetings in New Jersey, did not violate the Constitution. Douglass has since requested in a letter and by appearing in person at a Township Council Meeting, that the former policy be reinstated. "Now it's time to allow the religious leaders in Galloway to once again open the Council Meetings in prayer" Douglas stated in his letter. "From our standpoint we are commanded by God to pray for those in authority over us. Of course we can do this privately, and we do. What we're asking is that you recognize the pastors and other religious leaders in the your community, and allow us to publicly pray for you and our Township." At the May 26, 2014 Council Meeting, Mayor Don Purdy stated he wanted to have all members of Council present in order to discuss what step the Township would take regarding the issue. Councilman Tim Meadows wanted to remain "mindful of the community" and research the "best approach." Councilman Jim Gorman stated he did not have an issue as long as it was "open to all faiths." Councilman Brian Tyrrell stated he understood the "religious freedom." Councilman Robert Maldonaldo and Councilman Frank Gargione were not present at that meeting. The Township has yet to schedule the discussion on the agenda as requested by Pastor Tom Douglass. What about people of no faith? Why do we have to sit through prayer in order to attend city council meetings? Me personally, I don't even like the non-denominational prayer led by council members to start the meetings. However, since they are abiding by the findings of the SCOTUS I will not complain. City business gets done just fine without a rotating cavalcade of clergymen at out city council meetings. There are many houses of worship available in Galloway....subscribing to many different faiths. There is also your own home, your car, the grocery store, in line at the bank...wherever it is that you want to pray...you can. We have more important business to deal with in Galloway. Pastor Douglass should tend to his own flock and not worry about me and my business with Galloway Township.